A lot of things could lead to having to deal with car leather repair for the seats. One of the common issues could include having a cracked or split car seat. You might think that it is beyond repair, but you are wrong. There is a lot you could do when it comes to leather car seat repair. You simply need the right tools and tips, and you should be ready to get started. When it comes to leather car seat repair, knowing a few tips about the whole process could prove to be a great assistance for newbies. – Make sure to use a leather car seat repair kit. This is the easiest way for you to end up with the best materials important for repairing the leather. 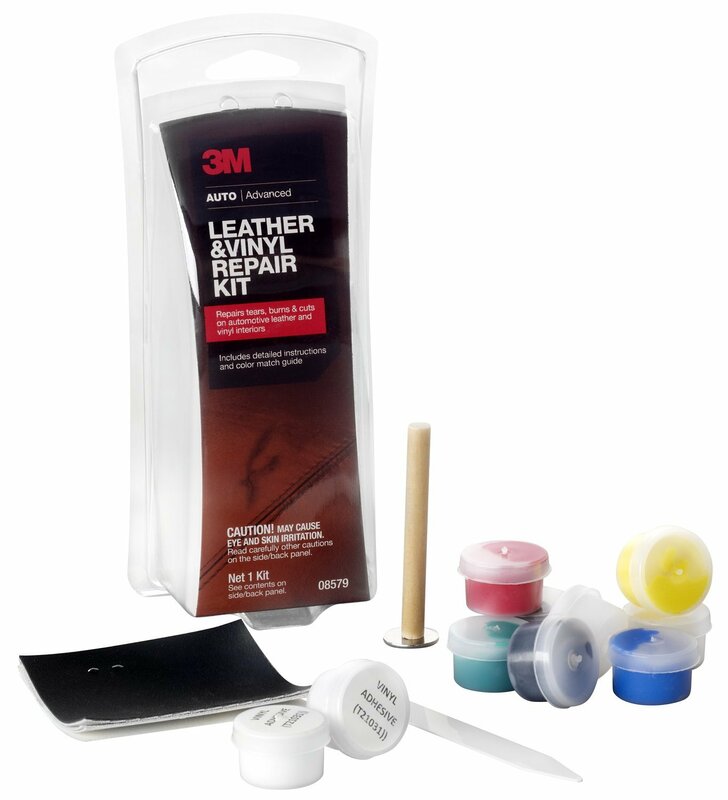 You will also get all the items important for repairing the leather in one place. – The type of leather is something that is going to also affect the overall repair process. The finished leather is easy to deal with while the vinyl or suede one is hard. – You need to understand more about the color too. This is important so that you choose the correct shade of the existing color on the leather seats. – You would not want to end up with a haphazard job, so you have to make sure that you clean the area first before doing the repair job. – Make sure to seal the repair works with the right sealant. The best part is that you would have all the sealant in the leather car seat repair kit. For you to repair leather car seats, you need to have the right tools. Sometimes people end up with the wrong repair results, simply because they do not have all the information. The leather repair process involves the following stages before you can a shining look on the repaired leather. One thing you can never forget when looking to repair leather car seat tear is preparing the surface first. This part involves cleaning up the upholstery to remove some of the dirt, grime and a lot of things. For the cracked parts, they would be allowing a lot more of the dirt to settle in the leather. Cleaning it out makes sure that you have a clean surface to work on. During this part, you are not to use the silicone based or the petroleum treatments as they tend to dissolve a lot more than just the dirt. Some of such treatments will end up destroying the leather surface. Still on how to repair leather, we need to patch the crack in the car leather seat. The kit that you buy would come with the filler to work as a patch for the crack. You will have to warm the filler with a heat gun to make it flexible enough before applying it to the crack. Once it is in position, it should form a smooth surface even for the patch. With the patch all dried up, you can apply the vinyl-prepping compound so as to make the color easily adhere to the patch. Now you are at one of the most important parts on how to repair leather seats. This part will involve the user spraying color to the newly repaired part of the leather seat. You start by spraying a few coats until you get to match the existing color of the whole seat. It can always be tricky to get to beige for most people, so you might want to test it out on other surfaces to get the right combinations before using it on the leather seat. Once you get the right shape, it would perfectly blend into the existing color. The overall process on how to repair leather car seats is not hard as we get to learn more about it below. – Inspect the cracked location to see if it will need the patch or just spraying the color coat is enough. If the stitched seam on the seat were also cracked, then you would have to do more work. – Proceed to prep the surface thoroughly by removing the dirt and grime in the area. Use a scrubbing pad and foaming solution to eliminate all the dirt. – Before you can be patching, mask off the area that needs the repair by using tape. Apply the patching material to the exposed white backing material. Use a heat gun to cure the new repair. With the flexible material, press it on the patch until it matches the texture of the surrounding vinyl. – Once the patch is all dried up, it will provide a strong and seamless bond that is now ready to apply some top coat. Before applying the coat, you need to sand the patch so that you have a smooth area for the color. – You might have to use some additional cleaning before the patch is finally painted. – You need to take the time to combine several color tins so as to get the right match of the existing color of the seats. It can take you more time, but finally, you will end up with the right color. – Proceed to spray the color to the patch with a few coats. Just make sure that one coat is dried up before adding a new coat. Just like that the job is done. With the method above on how to fix leather seats, should for sure make it possible for you to end up with the best repairs to your seats at all times. You always have to keep in mind the processes in their order so that you do not get the undesired results at any moment.